Sprawling beaches, rugged countryside hikes, idyllic woodland trails, and plenty of dog-friendly pubs to rest weary legs (and paws!) after a day of adventure. 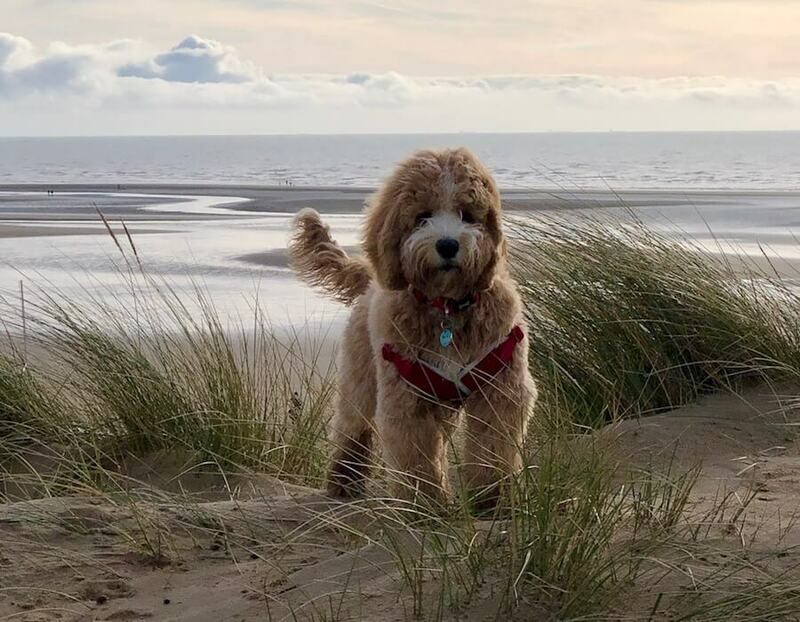 If you’re planning on a holiday with your pet pooch, Camber Sands for dogs is hard to beat. Here are some of the top attractions that make this coastal haven perfect for every pet pup. The biggest attraction for dog owners is undoubtedly the region’s array of canine-friendly beaches. Strung out along the scenic East Sussex coast, you’ll find everything from sprawling golden beaches to wild and remote stretches of shingle. 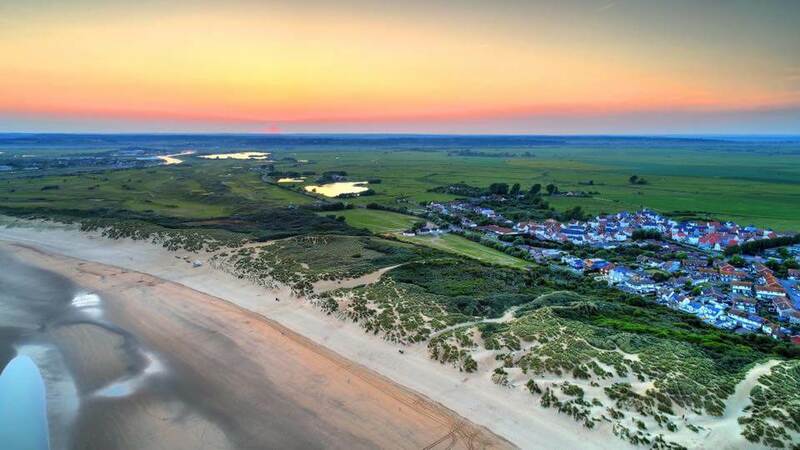 With a vast sweep of shoreline, the beach at Camber Sands offers tons of space for Fido to run loose. The shallow sea is ideal for hesitant hounds to splash in the surf, and your four-legged friend will love darting between the rolling dunes, with plenty of interesting sniffing spots! 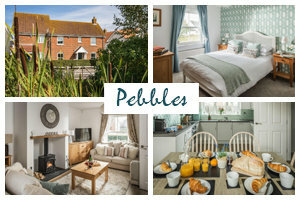 Numerous other dog-friendly beaches are nearby too, including Pett Level Beach and Winchelsea Beach – both are around a 20-minute drive away. Scenic countryside walks, tranquil woodland trails, and epic coastal hikes offer more dog-friendly walking spots in the surrounding region. Stroll past the sheep-filled meadows and charming churches of Romney Marsh. 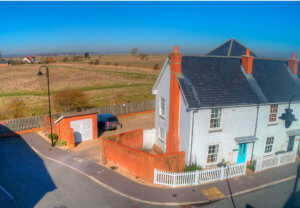 Head for walkies along the footpaths that criss-cross nearby Rye Harbour Nature Reserve and marshland. Or explore the wild and windswept Dungeness National Nature Reserve. Sprawled over 640 acres, Hastings Country Park is another top spot for hiking with your hound. There’s a dramatic clifftop footpath, ancient woodland, heaths and grassland, and dazzling views across Rye Bay and the English Channel. Get lucky and you might just spot bottlenose dolphin and harbour porpoise splashing in the waters below. After an invigorating coastal hike, nothing beats a pint and a hearty lunch in a local pub. And pups are just as welcome as their human companions in a host of nearby establishments. After a morning on the sand, stroll over the dunes to the pooch-friendly Owl Pub and Grill. In addition to fantastic food, the welcoming staff often hand out treats to their canine customers. 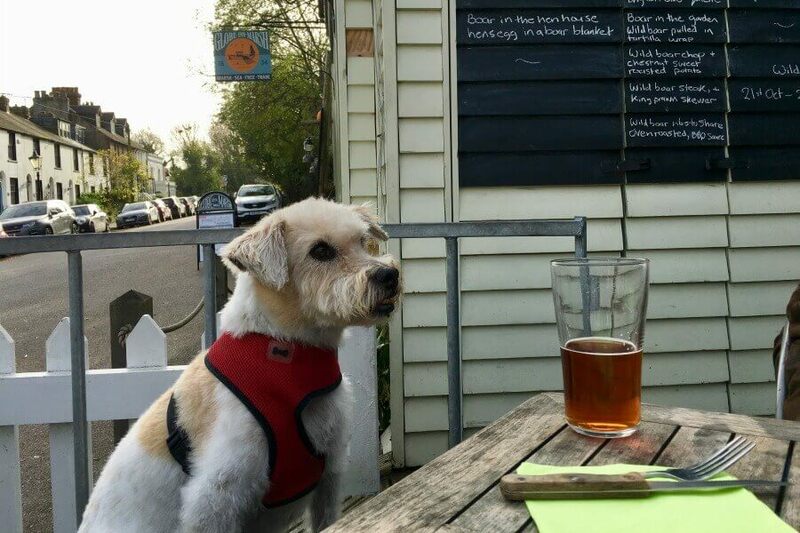 You’ll also find a number of pet-friendly pubs in the charming medieval town of Rye, including the Globe Inn Marsh, William The Conqueror, and the 17th-century Ypres Castle Inn. After enjoying walkies among Rye’s quaint cobbled lanes, you could always pop into Corridor Cafe. This pet-friendly cafe specialises in delicious homemade cakes and great coffee, and serves some of the best scones and cream teas in Sussex. 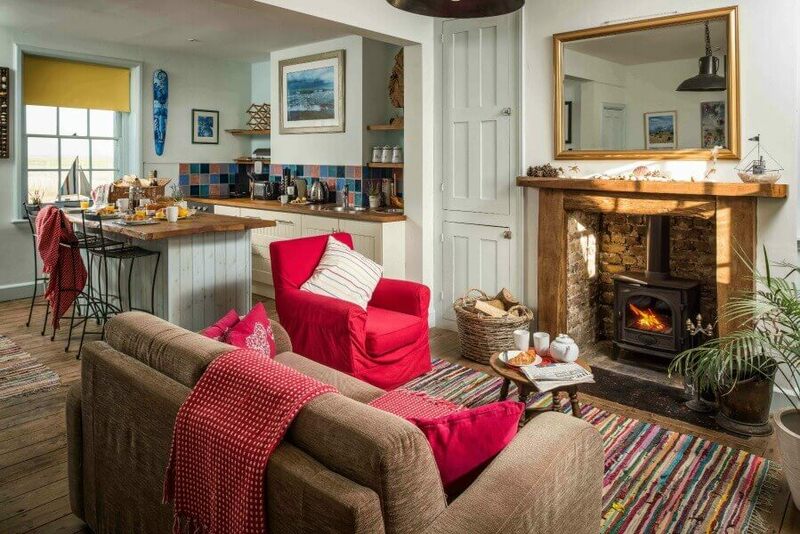 After a big day of muddy-pawed adventures, each of our pet-friendly cottages offer a cosy retreat for you and your furry friend. 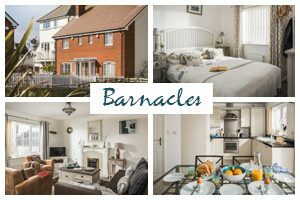 Last year, our Coastguard’s Beach House scooped up the best “Home From Home” in the PetsPyjamas Travel Awards – chosen from thousands of pet-welcoming holiday destinations around the UK and Europe. 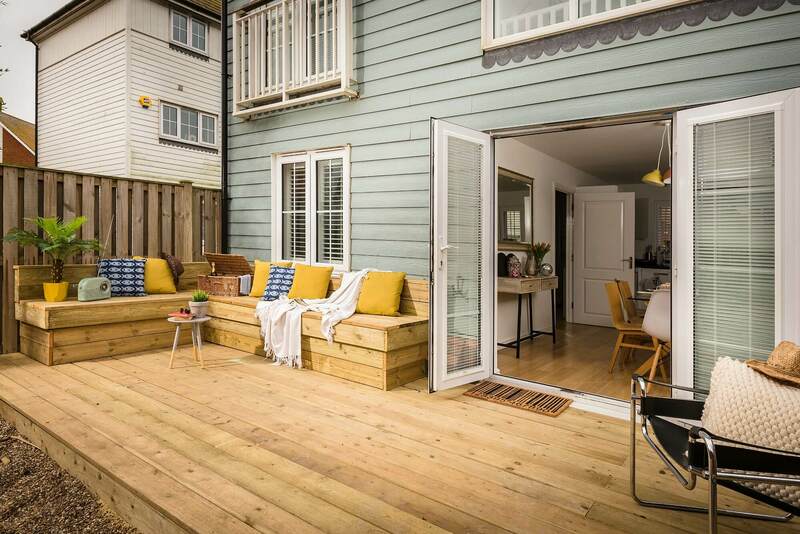 Our Fido-friendly pads are just steps away from the beach and come with a host of creature comforts, including treats, bowls, poop bags and fully enclosed gardens. Enjoy walks beside the waves on a stunning, canine-friendly beach. Or hop in the car and drive minutes to explore the region’s beautiful coastal trails, ancient woodlands, rolling countryside, and pristine country parks. 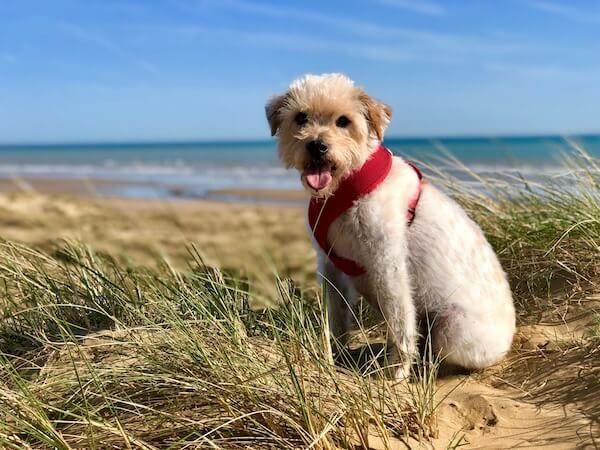 If you’re looking for a pooch-friendly holiday, Camber Sands for dogs is hard to beat! 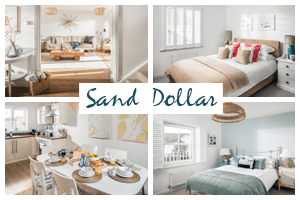 And at Beside the Sea, you can pick from a range of welcoming, dog-friendly accommodations – including our award-winning Coastguard’s Beach House. Be sure to check out our range of Pawsome Pads today.